LETICIA WINS FIRST EVER WOMENS WORLD CHAMPIONSHIP! 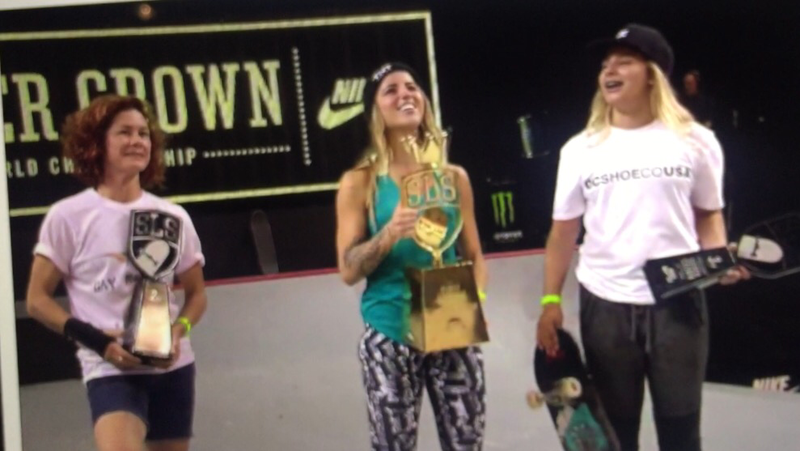 Leticia Bufoni has gone and won the FIRST EVER Women’s World Championship in the Super Crown: Women’s Division in Chicago tonight… It was an incredibly tense competition that had us on the edge of our seats! Vanessa Torres placed a very close second and 15 yr old Alana Smith in Third. We’ll post the highlights as soon as they’re up!